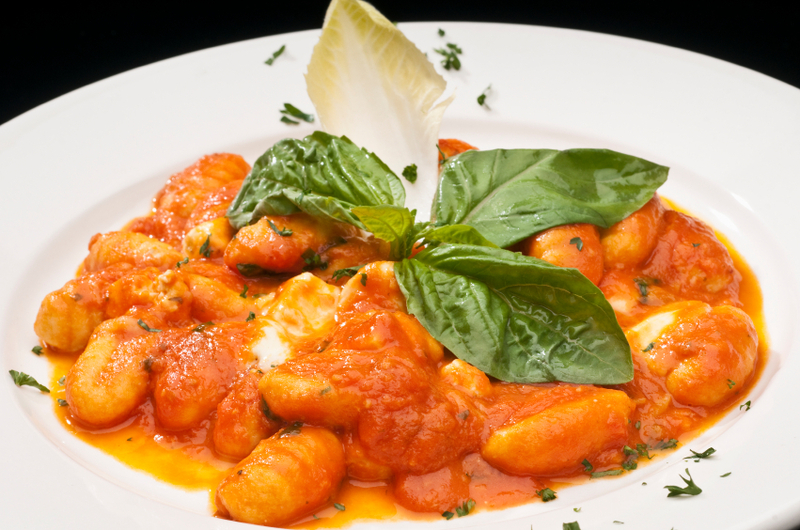 From south to north California boasts some outstanding Italian restaurants. As you travel the state this summer, you may want to consider a stop at one or more of the following. In the Brooklyn neighborhood, where I spent the first decade of my life, if you weren’t Jewish you probably were Italian. In either case daily life was about family, music and food. The only real difference was where you went to pray and on which day. From that background and, with a life-long exposure to opera Italian, it wasn’t difficult for me to learn enough Italian to make restaurant reservations in Italian on the phone in Italy, to navigate through evenings in restaurants where no one spoke English and to converse with hotel clerks. Four Italian restaurants in different parts of California crown that list. They span the state from San Diego to the Bay Area and the capital. All four offer impressive menus rooted in the old country and serve excellent food. Yet each is unique and is special for different reasons. At the top of my list is Biba in Sacramento, which along with Melisse in Santa Monica is one of my two favorite restaurants of any kind in California. I have dined at Biba at least once every time I’ve visited Sacramento for more than one day for the last 15 years and the quality has never let me down. Biba is the most upscale of the four Italian restaurants discussed here. The room is kept well lit to show off its elegance and there is none of the modern penchant for so much noise that conversation is all but impossible. It all adds up to a justifiable self-confidence for both the restaurant and for its patrons. As new restaurants have opened and Sacramento has evolved into a very good restaurant city, Biba has remained a favorite of many of the settled Capitol crowd. It’s a place to dine, not to eat. Of note are any of the daily special gnocchi, any lamb dish they serve, the duck breast, osso buco, or whatever is recommended by any of the knowledgeable waiters. Most nights, you’ll find Biba herself on site supervising the action. Next on my list is Panzanella in the Sherman Oaks neighborhood of the San Fernando Valley, just 15 minutes from our home. It’s my favorite of the Drago family or restaurants and you’ll find us there four or five times a month. Prices are on a par with Biba and the menu offers enough choices to satisfy any taste. The noise level can get a bit trying, especially on weekends, but the quality of the food more than compensates for that. Panzanella walks a line between upscale and neighborhood. It’s a destination neighborhood spot. One of Jennifer’s favorite dishes anywhere is the burata Caprese offered as an appetizer. My favorite from a long list of pasta dishes is the gnocchi Verdi with ragu. 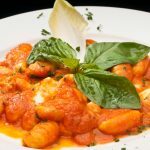 For old fashioned, throw-back Italian restaurants that take me back to the 1950s and 1960s in terms of style and menu, there are de’ Medici Cucina Italiana in San Diego and North Beach Restaurant in San Francisco. There’s nothing upscale about either but for just good, solid Tuscan cooking you can’t beat either. de’ Medici serves up Cesar salads made tableside with anchovies and raw egg, a veal picatta that can’t be beat, wonderful pastas, and sole Portofino beyond belief. There are the high-backed booths to provide the look of old New York, Jersey or Philly Italian restaurants and a wait staff dressed in the mode of those old spots. If you can’t find something you like at North Beach Restaurant you probably should try some food other than Italian. It offers a mind-boggling menu in both size and variety – fabulous pastas, sautéed veal sweetbreads, sea food worthy of San Francisco and 21 different offerings of steaks, chops and poultry. And finally, the wine list here is worth the visit in and of itself, including a very good Brunello produced at their own Petroni vineyard. There you have it. Quatro Italiana. Four Italian restaurants in four California cities. And in every one of them, the service is outstanding. Trust your waiter if you can’t decide.